Myself, Keith and a couple of friends have just been to the first night of the touring Evita at the new theatre in Aylesbury, our home town. What a wonderful production, 1st class, congrats to all the cast and crew involved. We all loved it, although the seats in the theatre are not that comfortable. But it saved us travelling up to london to se the show. 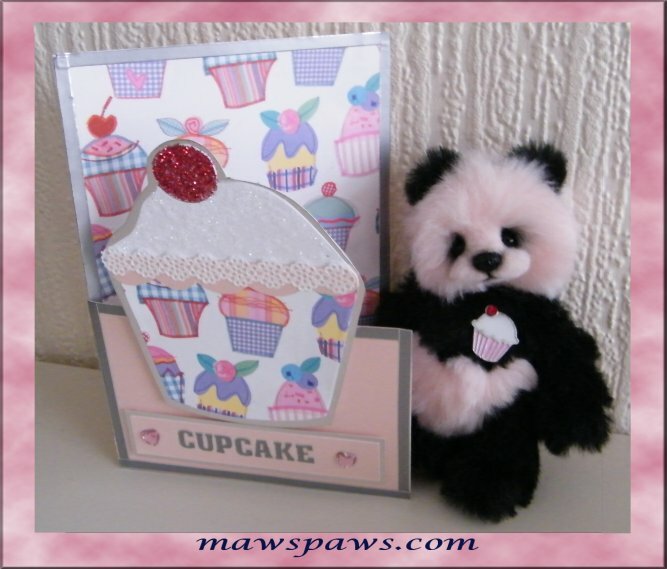 This photo is of Cupcake with a special card I have made.